VITEC is a leading worldwide end-to-end video streaming solutions provider for broadcast, military and government, enterprise, sports and entertainment venues, and houses of worship. 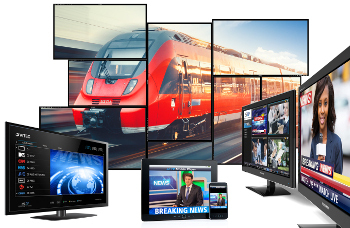 Combining broadcasting with live streaming capabilities, VITEC’s H.265 (HEVC) and H.264 offering is the most extensive in the market, with encoding and decoding appliances, IPTV solutions for desktops and mobile devices, and PCI cards with SDK for integration projects. VITEC’s intuitive digital video solutions can be tailored to each customer’s unique market needs, delivering easy-to-use technology that ensures high-quality, low-latency HD video, capturing live and recorded events for seamless distribution in a multitude of formats anytime, anywhere, to any device.